anyone who’s hung out here for any length of time knows that i love me a good adventure or two. it’s one of the things i spent a lot of time thinking about when we got back to new zealand and then moved to waiheke island… how to continue adventuring, even after moving back from the uk. i don’t subscribe to the idea that adventures have to be in some incredible destination, in some faraway exotic land (though those are always great)… i believe that adventure can also be found in even the seemingly mundane pathways of our daily life. still, as i sit here, still madly in love with our island home, i dream of [more] places we can adventure to. this place had me at “hello”. 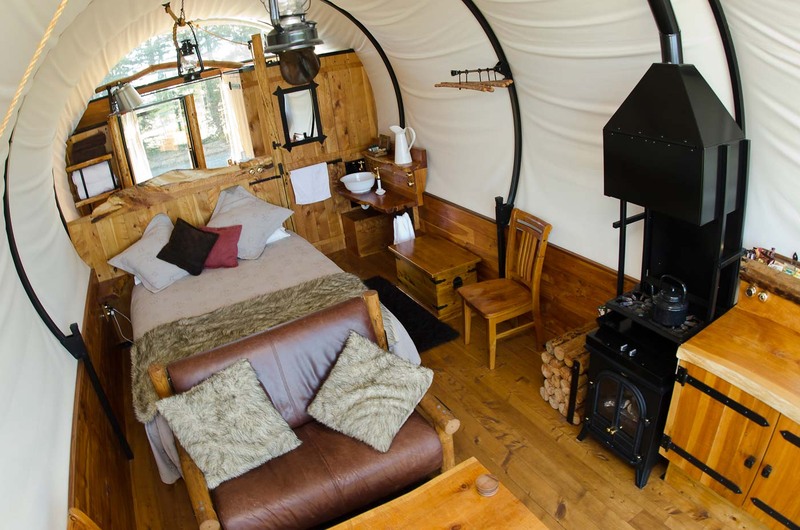 whilst living in the uk we stayed in a few yurts and this one in raglan, just 90 minutes south of us (on the mainland) appeals to my sense of style. dark tent & timber outside, ply and natural colours inside, a stunning location and an outdoor bath. what’s not to love? i have been imagining a trip to kapiti island since i was a teenager and still haven’t made it there yet! this little island is one of new zealand’s treasured nature reserves and is home to the largest kiwi population in the country. an overnight stay in this lovely tent includes meals, ferries, dept. of conservation passes and a kiwi-spotting tour. i remember working in the quest usa office years ago and my visit coinciding with talk like a pirate day. i suspect some kind of pirate-y language might accidentally fall out of me on this boat too. plenty of adventures on and off the boat to be had here. scurvy-ridden landlubbers need not apply! we stayed here a couple of years ago and i would gladly go back. as well as being a stunning drive to get there from queenstown, the spa pool at the lodge has an amazing view of lake wakatipu and the surrounding mountains. it’s the perfect spot to stay at the beginning (or end) of the routeburn track walk and there’s loads of day walks and other adventures to be had in the area. it’s a great place to unwind after a day out in the mountains – the staff are amazing, the food is delicious, the views are magnificent. i drove past this place on the way to castle hill last year and had to look it up. i’ve got family that live in nearby christchurch… i wonder if any of them have stayed there. it certainly looks a lot more comfortable than the wagons that pioneers would have lived — and travelled — in. 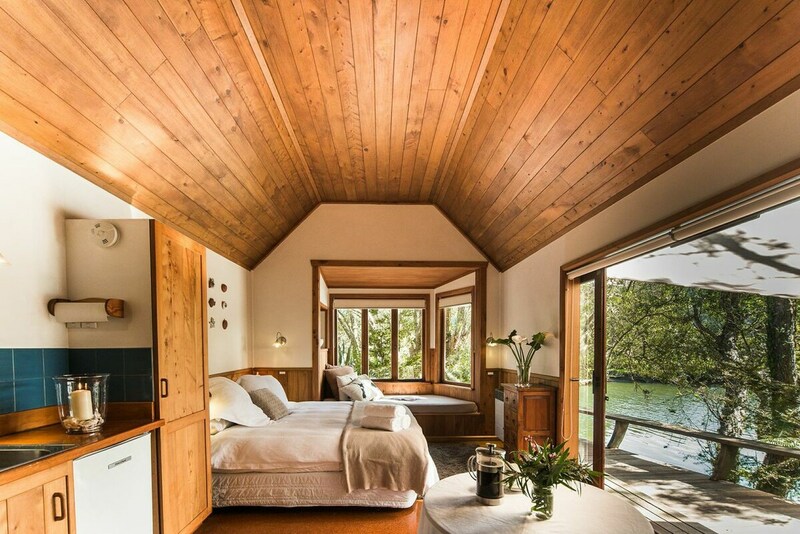 built 10 metres up in the trees, these luxury rooms offer privacy and gorgeous views of the mountains and coastline from their elevated positions. the perfect place to sleep after adventures along the kaikoura coast. honky tonk piano in the lucky strike saloon? pistols at dawn? some tall tales around the fire under the stars? this town aint big enough fer the both of us… (though actually it is). located “well and truly at the end of the road”, this is the ultimate hideout – complete with onsite courthouse, blacksmith, newspaper office, hotel and saloon. horse-riding and gun-slingin’ are just two of the adventures to be had at this western-style town. i haven’t spent much time in the bay of islands and i would like to rectify that! this looks like the perfect weekend getaway. with a window seat and doors that open wide enough to sit in bed and feel like i’m part of the view, this room is ridiculously enticing. i think it’s possible to be one with nature in the most luxurious way and this cottage looks like a really great place to test out that theory! i had never been here until nic took me on our honeymoon 14 years ago. now one of my favourite places in new zealand, i am eternally grateful to him for taking me there. there’s a multi-day walk around the lake that is listed as one of the great walks of new zealand. nic has done it a few times with his parents and i’ve done bits at each end, but i’ve still yet to do the whole track… i’m looking forward to that adventure! 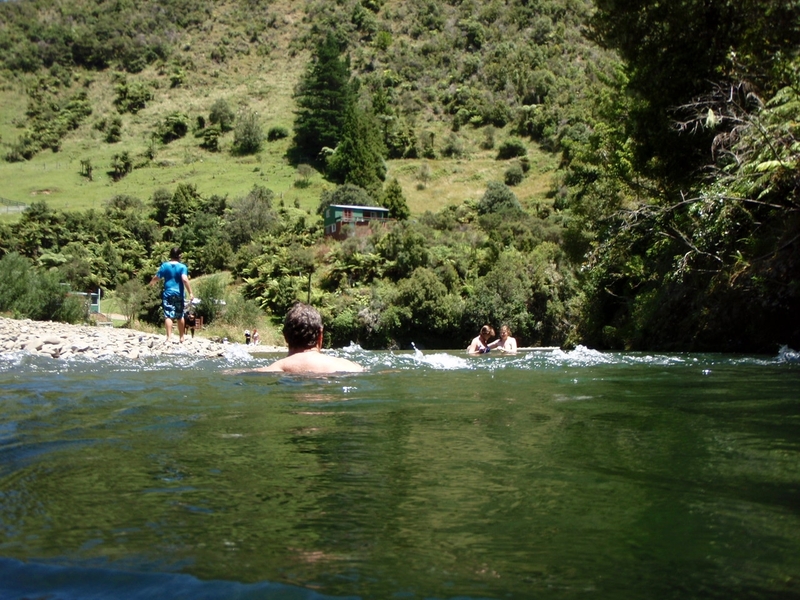 this holiday park is hugely popular despite the effort required to get to it – three hours driving from the rotorua side and an hour inland from the wairoa side. no cellphone coverage. no tv. heaven. cycle trails, bush walks, river swimming, accomodation in a love shack “built by hippies”. ticks adventuring boxes for both of the wises. This entry was posted in nz, travel and tagged adventure, i love lists, new zealand, places to stay, travel. Bookmark the permalink.